In India, there are more than 57,000 land matters alone that are pending a decision by the Supreme Court. There are thousands of other such property cases that are waiting for a judgment to be passed in the high and lower sessions courts all over the world. So you can imagine how many people have issues with their property and that of the others, which cannot be settled amicably and have to be taken to court. We are all familiar with the property disputes that arise among the siblings of the family. Especially, in cases, where the father died without leaving a clear will, property matters become extremely complicated and the fight amongst the parties becomes very bitter. There are also cases when a couple split and the assets and liabilities held by them jointly have to be divided at the time of legal separation or divorce. The land that falls under their assets is also considered as land matters. Of late, many people are buying second homes or plots of land as an investment property, but are unable to visit them frequently due to which there are many developers and fraudsters, who have started taking illegal and forceful steps to acquire such property. In cases where an influential person or company coerces a person or a smaller business entity to give up their property or land, the court can be approached for support and rightful ownership of the land being re-instated with its rightful owner. These are just some examples of land matters that are happening in the country. There may be many other types of issues relating a land that have to be tried in court (boundary dispute, maintenance issues, encroachment, etc.). Some also become national issues because the Government also needs it share of land to set up government offices and organizations. 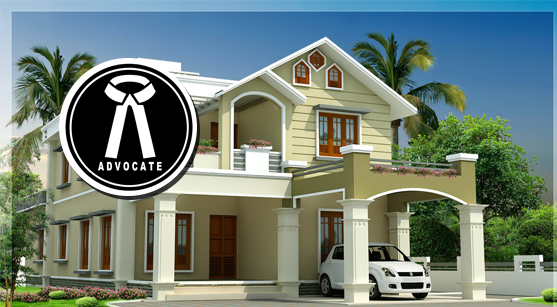 Advocates in Chandigarh has an excellent record of settling land matters quickly and without much hassle in courts. Property cases may be long drawn out, but the advocates in our firm ensure we stick by our clients’ side right until the end.